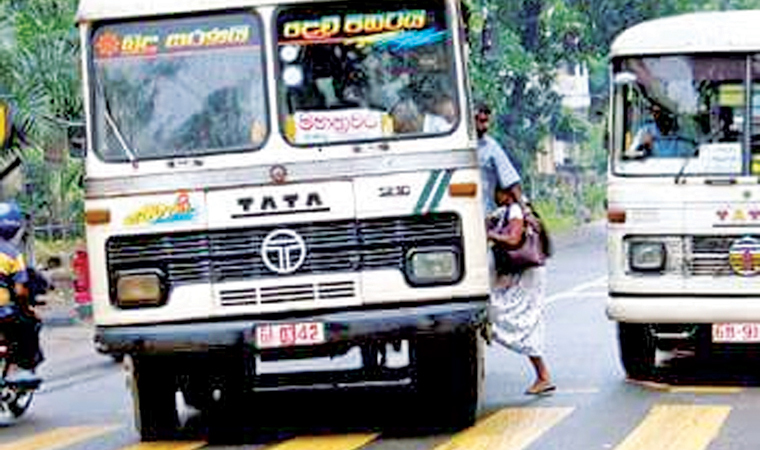 The Private Bus Operators’ Union is demanding the right to indulge in traffic offences by resorting to a strike against the imposition of heavy fines for traffic offences, the All Ceylon Bus Passengers’ Union (ACBPU) said in a statement yesterday. If they are against the imposition of fines, they should obey traffic laws in operating their buses, the ACBPU statement said. The ACBPU union said it vehemently opposed the strike launched by bus operators from midnight Tuesday. The statement said speeding on the road in high competition was a common scene among bus operators and this severely threatened the lives of innocent passengers. On the contrary, bus owners need not bother about heavy traffic fines if drivers operated buses in keeping with traffic laws. Since bus operators were demanding the right to commit traffic offences by launching a strike against heavy fines, the government should never give into the bus operators and decide to reduce the traffic fines, the ACBPU statement said.